Globalnest provides mobile application development services for various Mobile Operating Systems including IOS and Android. BoothLeads is a user friendly mobile app for Lead Retrieval that lets you capture leads at events by scanning the QR codes on attendee badges. We deliver working software frequently to ensure you have maximum visibility at all times. We ensure the software underpinning your app is robust, fully tested, and meets specification. We respond quickly to changing requirements. Our design process ensures that we understand your business, your customers and your goals, by working closely with you from start to finish. Our design process ensures that we understand your business, your customers and your goals, by working closely with you from start to finish. We custom design, develop, test and deploy Android and IOS apps of your choice. We do customized application development. 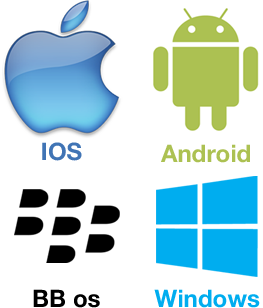 Our experienced iPhone and Android app programmers are well-versed with the Apple’s iOS and Google’s Android platform.